The Pinelands Pirettes travel softball team for the Seneca-area towns will be holding tryouts for their 2016–2017 season on Saturday, July 30 at Prickett’s Mill Park in Tabernacle. The rain date for this tryout will be on Sunday, July 31. The 14U team will hold its section of the tryout from 9 a.m. until 10:45 a.m., the 12U tryout will be from 11 a.m. until 12:45 p.m. and the 10U team will have its tryouts from 1 p.m. until 2:45 p.m.
To be eligible to play on the 14U team, girls must have been born in either 2002 or 2003. Participation in the 12U team requires that girls have been born in either 2004 or 2005, and to play on the 10U team girls must have been born in either 2006 or 2007, but girls with a 2008 birth year may be considered. Above all, the Pinelands Pirettes is not just a softball team — it is a family. Our goal is to teach young girls the love and respect involved in the game of softball and to build confidant players with solid fundamentals and skills. To ensure equality and enjoyment, the head coaches for each team do not have children playing on the teams. Former division one and division three college players are also a part of the coaching staff for our teams, serving as wonderful role models for our players. 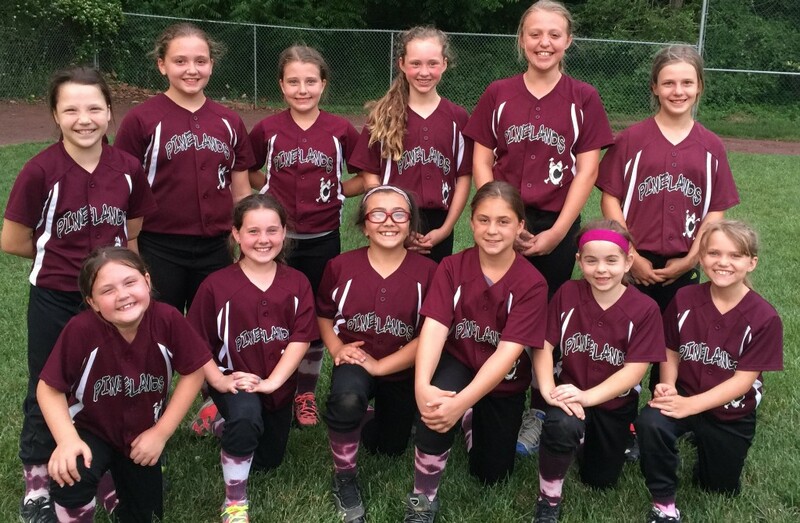 The 10U and 12U teams will participate in the county softball league and two local tournaments this fall, league play and four local tournaments in the spring. The 14U team will participate in tournaments located in New Jersey, Pennsylvania, and/or Delaware in the fall and spring. All three teams will have winter training from January to March. If you have a daughter interested in trying out, please contact Kim Albertson at kim.albertson@comcast.net.